Chatbot is an innovative way through which companies can interact with their customers. Today, approximately 75% of mobile users or smartphone users spend their time on different social networking apps and business applications. In order to reach out to the audiences faster, various companies like CNN (News Chatbot), HealthTap (Health Chatbot), Spring (E-commerce Chatbot), Hyatt (Hotel Chatbot) and many more have already made their chatbots available on different messengers. As per the Gartner’s report, by 2020, 85 percent of client interactions will be made without a human. In this era of technological advancements, human tasks are getting easier and better on a daily basis. The year 2019 is likely to notice critical transformations in the tech industry and messaging bots replacing mobile phone apps is one of them. The newly introduced Chatbots will not only facilitate customers but will also help businesses carry out their operations seamlessly. These messaging chatbots will also help businesses interact with third-party services directly through the messaging application interface. To pour in some light on this topic, let us know how Chatbots will replace more apps in 2019. Various social media platforms or applications have now become just a means of interaction or collection of information. App developers are now focusing on developing a unified interface where all functionalities will be packed in one single app. This Chatbot enabled messaging app can then help offer a variety of benefits to the users on a single platform. Not only will it offer assistance to the users but it will help them get real-time answers to their queries in a short duration. To make the chatbots more user-centric, app developers are now investing their time in making the chatbots capable enough to provide accurate answers to the customers. Through this medium, consumers will be able to communicate with the businesses directly. Businesses enterprises usually take 3-4 days of time to answer the queries of the customers but this will not be the case with Chatbots. These Chatbots are trained via Artificial Intelligence, therefore, they offer quick and genuine answers instantly as and when a query is raised by a customer. 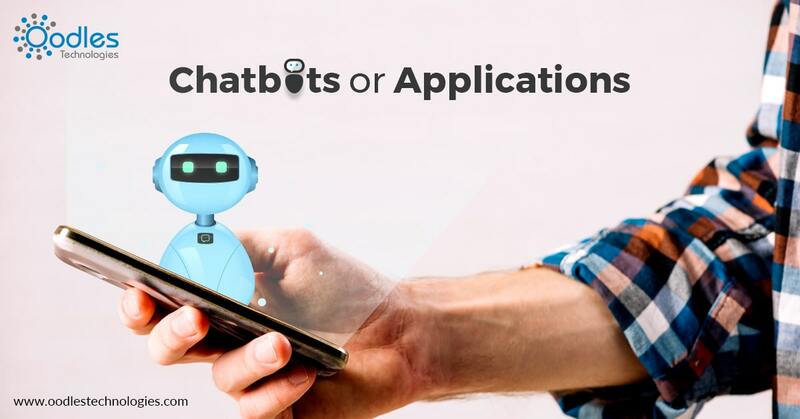 Most app developers prefer building Chatbots and not applications because it is simpler to build bots on messaging platforms rather than developing an Andriod or iOS App. Chatbots offer various advantages to an app developer. Plus, it also improves the overall user experience. The only suggestion for app developers is that they need to take cautions while developing the interface and choosing the platforms. Chatbots not only ensure integrated operations but also change and decollate overall mobile experience. Since chatbots are the best alternatives to mobile apps and websites, they are also best in gathering information or ordering a pizza. In the near future, we might see this new emerging platform will power the next generation of browsing experience and will improve the user experience of using an application.